Postal department has backed out from its commitment on RTI stamps and accepting RTI petitions in all post-offices without postal-charges. RTI Activist Subhash Chandra Aggarwal recalled the postal department’s acceptance of the full-bench CIC-verdict dated 27.08.2013 recommending issue of RTI stamps as mode of payment of RTI fees, and accepting RTI petitions addressed to central public-authorities at 25464 post-offices rather than present 4710 post-offices without postal-charges. He referred to a PTI news-report dated 17.09.2013, according to which the postal-department had announced to accept RTI petitions addressed to central public-authorities at all 154864 post-offices in the country. The CIC New Delhi judgment dated 27.08.2013 in the case of Subhash Agrawal v Ministry ·of Home Affairs had made the recommendation to issue RTI stamps of the denomination of Rs 10/· by the Dept. of Posts. along with several other recommendations. Department of Posts was to direct all Post Offices to accept RTI applications and the requisite fee. This was considered essential as designation of only 4700 Post Offices is grossly inadequate, considering the size of the country and the number of information seekers. The complaint was filed alleging that the non-acceptance of fee in cash by the Jaisalmer House office of MHA caused the complainant avoidable harassment and also resulted in delayed supply of information. However, an RTI response in January reveals that while the Department has 4710 authorized Post Offices accept the RTI applications and designated as CAPIO, the postal-department could not issue RTI stamps because shortage of paper in two printing-presses at Hyderabad and Nasik and as such came out with an impractical idea of allowing ordinary postage stamps of definitive series towards payment of RTI fees, an idea rejected outright requiring amendment in RTI Act. 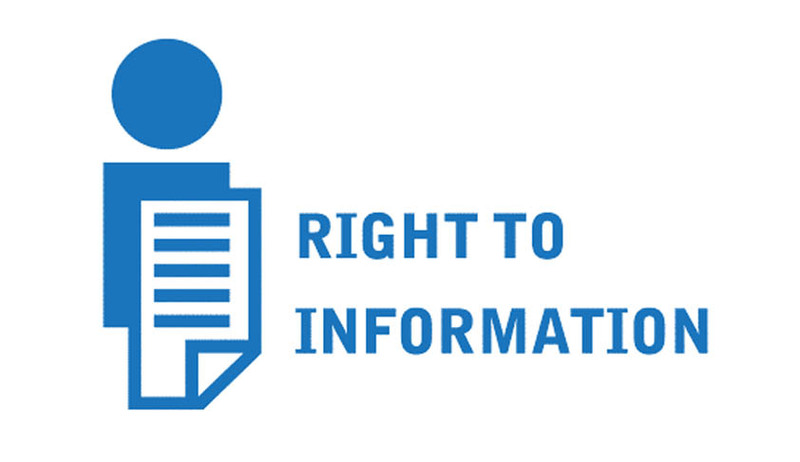 CIC had for such reasons recommended issue of exclusive RTI stamps on lines of erstwhile stamps issued by postal-department in respect of licence fees for radio and TV sets. Postal department has also backed out on its earlier commitment to accept RTI petitions addressed to central public authorities allegedly because of lack of infrastructural facilities. These post offices were given no additional manpower or remuneration to do this work. The' DOP has carried this burden in spite of constraints of manpower .and without any remuneration for more than 08 years (since inception of RTI Act) for those central public authorities who had agreed to avail of the CAPIO service. It also said that the service requires infrastructure facilities such as computer peripherals and internet/broadband/connectivity of adequate speed. These technological aspects appear to have restricted the number of CAPIOs in the Department of Posts to nearly 4710 only. The real issue before CIC was to evolve an effective mechanism for depositing the fee and copying charges for expeditious provisioning of information. However, the Postal Department has taken a step back now. Considering high handling cost of rupees 37.45 (as per year 2011-12) of postal-orders worth rupees ten generally used for remitting RTI fees, Subhash suggested that the Postal Department should pursue Union Finance Ministry and Security Printing and Minting Corporation of India Limited (SPMCIL) for issue of exclusive RTI stamps in different denominations not only for paying RTI fees but also for payment of copying and inspection charges under RTI Act. He added that since every post-office however small it may be is attached with a bigger post-office where all registered articles along with cash is transferred manually, available infrastructure can be enough and very well utilised for accepting RTI petitions at all 154864 post-offices in the country. Such reforms saving huge funds to postal-department apart from providing convenience to RTI petitioners require positive mindset and better coordination amongst different public-authorities which evidently lacks in postal-department as is evident from recent RTI response. Read the CIC judgment and Department response here.